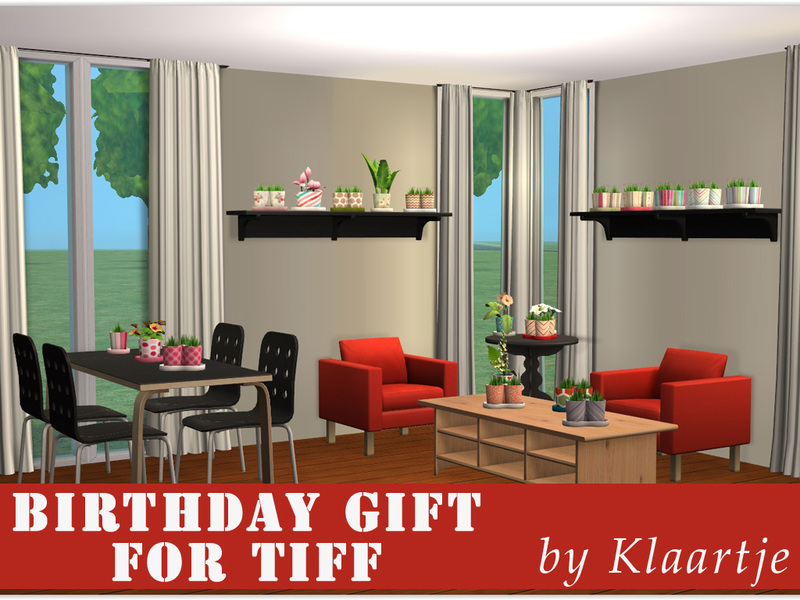 In some parts of the world it's already the 5th of August, including the place where the lovely Tiff lives, which means it's officially her birthday now! Happy Birthday and I hope you have a wonderful day! It wasn't very difficult to think of something to make for you, as you are the official CC-queen I cheated a little, because I wanted to learn something new so I used your gift as an excuse for that Anyways, on to the important stuff! 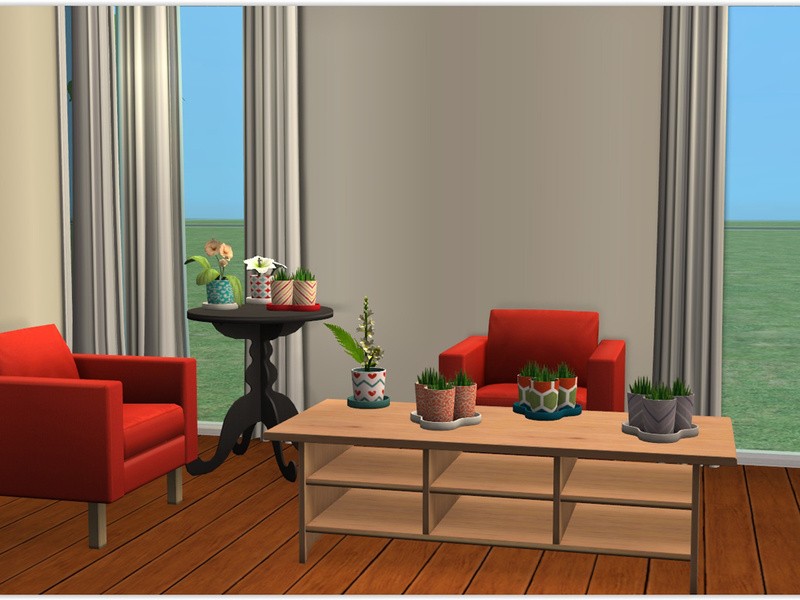 I was poking around the Clutteraholic plants files and discovered that they use the same texture as IKEA Bladet. So I repo-linked all the stonepots to the Bladet and made you some extra recolors to go with it! So now you only need to do half the work, to get twice the amount of recolors The flowers are still repo-linked to the appropriate flower meshes. 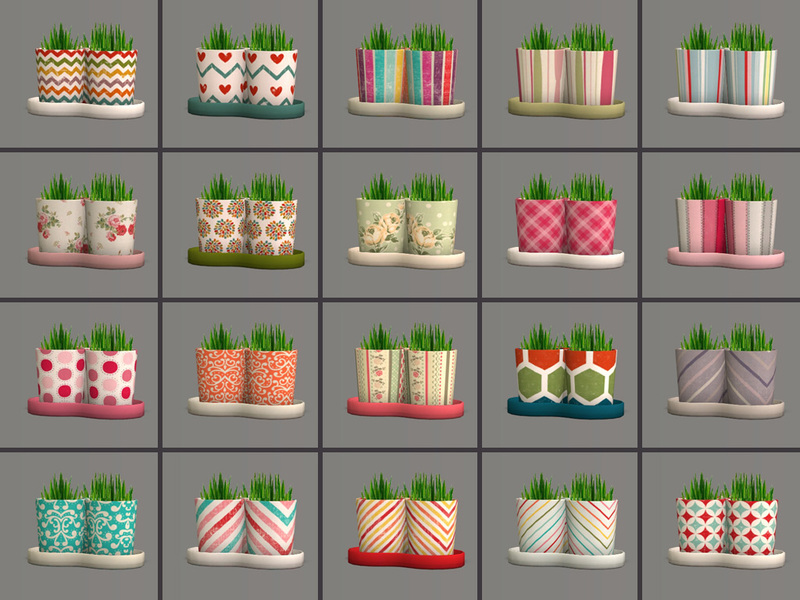 - All the old recolors of the Clutteraholic pots won't work anymore. However, I hereby offer you (the general you) to fix those recolors, in case you have any favourites. Anna's palette is on my list, but I ran out of time due to time zones. - Delete the old Clutteraholic-files that either have 'ceramic-pot' or 'stone-pot' in their filename and replace them with mine. Love them klaartje. Happy Birthday, Tiff! 'Birthday Tiff! Nice from you, Klaartje!